My 2-week-old baby is fighting to stay alive. His struggle started when she was just 2 days old. He has a congenital heart disease and needs a surgery. We are from a village near Nagpur, you wouldn’t have heard of it. We are farmers. We make peanuts (income I mean). But, when our baby needed a doctor, we rushed to Nagpur. There, an echo showed the problem, and the solution became clear. He needed surgery. 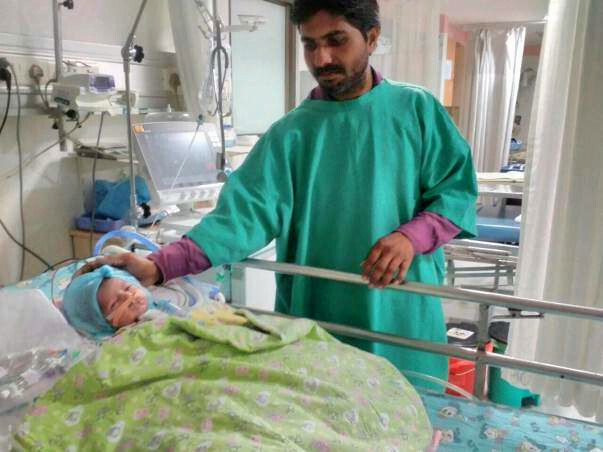 A 2-day-old baby needed open-heart surgery. I heard that the hospital in Nagpur hadn’t overseen any case for heart surgery in 2 years. Fearing for my baby’s health, we rushed to Hyderabad where we knew a doctor was performing at least 7 a day. Bhaskar and Prameela, the baby boy’s parents are now struggling to mobilize what little funds they can to pay for their child’s treatment. He is just 2 weeks old during which time his parents have been to hell and back trying to save his life. They are in need of approximately Rs. 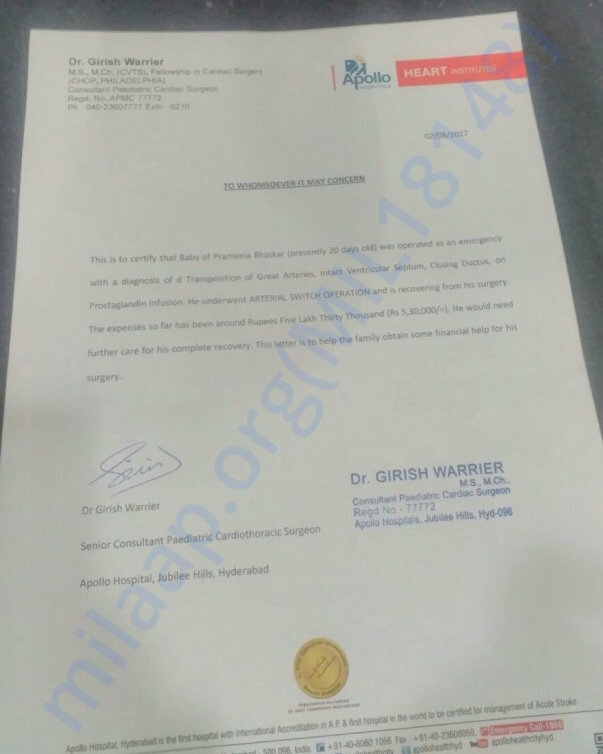 5.3 lakhs for surgery bills and post-op care. 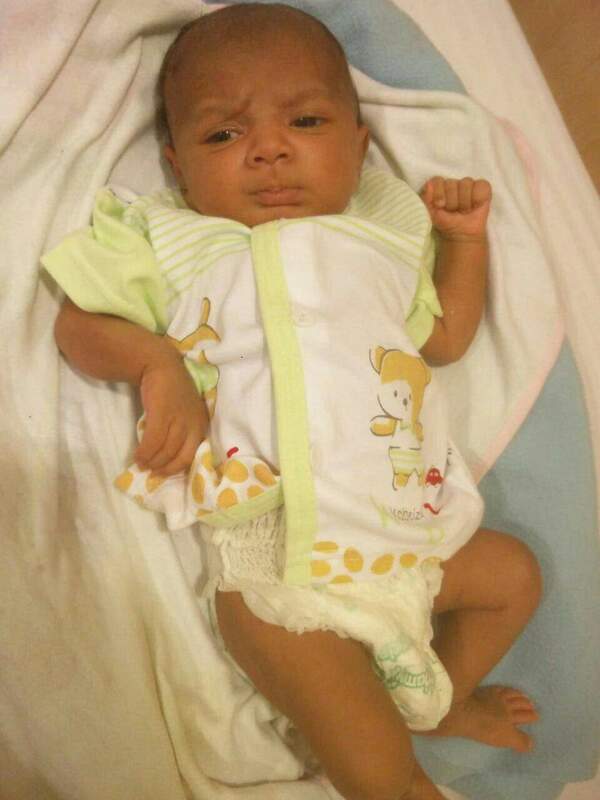 You can help Baby of Prameela strengthen his heart and go home for the first time. He has a long future waiting for him.This poor family needs our support to save their son. He will recover if he gets an open heart surgery done. 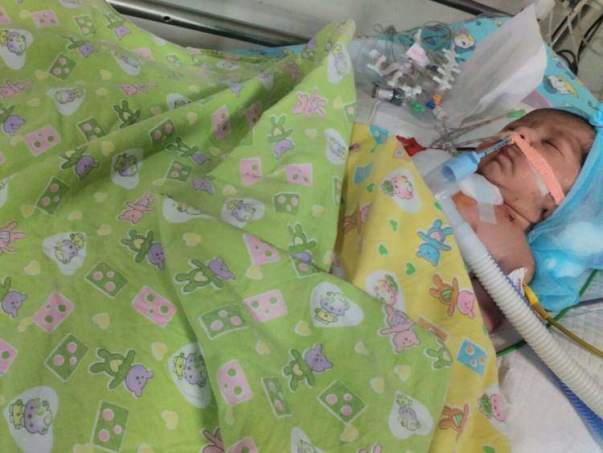 Funds raised will help this baby stay alive. A recent picture of Baby of Prameela. Thank you so much for coming forward and helping this little kid. Prameela's baby is doing well now and has been discharged from the hospital. We will keep you posted on the progress.